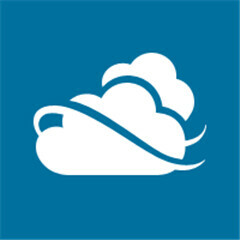 As we reported earlier today, SkyDrive for Windows Phone was updated to 2.0 and received a bunch of new improvements. Unfortunately, it is now becoming clear that new adopters of the service will only be entitled to 7 GB for free, as opposed to the 25 GB it offered before. We’re not sure how long it will last for, but current account holders can go to https://skydrive.live.com/ManageStorage and login in with their Windows Live ID. You will then be informed that your account has been upgraded to 25 GB. Users that already had over 4 GB stored in the cloud as of April 1st, were automatically upgraded. If you are not in that category, it seems as though you need to perform this process in order to keep your 25 GB, otherwise you will be dropped down to 7 GB. If 7 GB isn’t enough for you new users, SkyDrive does offer the option to augment your storage by 20, 50, or 100 GB for $10, $25, or $50 a year respectively. They should really include more internal storage on WP7 devices.... Especially after this. As far as I know, Microsoft will likely not use SkyDrive space for Zune, as they probably want people to pay for Zune services like you suggested. However, Microsoft did open up SkyDrive access to developers so that they can create their own apps that sync with/stream from SkyDrive, so this is still a possibility through third-party apps. It's good... so you can upload less of your junk to their storage. Saves more bandwidth for other people and also cost the carriers less money. Having this kind of service is a blessing at our convenience, not as a hard drive alternative. A big part of the picture that is missing in this article is that SkyDrive now has a Windows desktop application as well, so any Windows user can use it on their computer. It acts like a normal directory on your computer (like "Downloads" or "Documents"), only it is connected to the cloud. Any files you place in this directory will be accessible through any of your other devices, Any updates you make to a document in the directory will be reflected on your other devices as well. I'm guessing the biggest reason it is going from 25 GB to 7 GB for new users is because they expect more people to use the service now that there is a desktop client, and in preparation for Windows 8 as we already know SkyDrive will be integrated into Windows 8. And when version 3.0 comes out there will probably be only 3gigs of storage... why I must stick to android. Thanks for the heads up, got my 25Gb upgrade too. Just locked in my 25GB until MS wants me to repeat the process.